I began reading many (MANNYY) moons ago. I have some of the most amazing bookish feelings and thoughts about a lot of books I read while growing up. This is one of those books. I couldn’t 100% remember the premise of this book, but I have owned this book for a while now, and I thought it was about time to give it an overdue re-read. Sal and her grandparents are on a road trip right before her birthday with the hopes of reaching her mother beforehand. Her mother took off for another state and left behind Sal and her husband over a year prior. As Sal and her grandparents drive state across state to reach her mother, Sal weaves through stories of her friends, community, and self-discovery. I remember feeling sad when I read this book a long time ago, but as I headed into it this time I couldn’t remember why. I kept trying to piece the parts I remembered with how it ended so I could figure out why this book gave me sad emotions. I remembered a little over half way through, yet that didn’t make it less emotional to go through the second time around. What I enjoy the most about this book is the representation in a younger adult / middle-grade story. There is gentle conversation about finding yourself, understanding where you come from, love, family, hope, sadness, and even confusion. Despite being a quick read, Creech does an excellent job tying together so many themes in a relatively delicate and beautiful way. 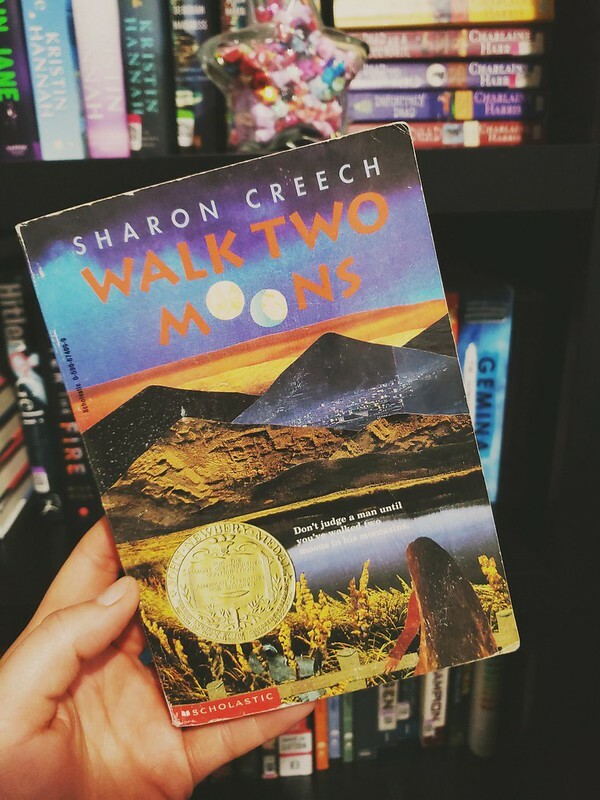 I loved the representation of American Indians in this story – as that is where Sal and her mother’s family come from. This is woven richly into the story and it makes my heart SO happy to read about in this book. Additionally, the ability to look, once more, through the eyes of someone Sal’s age again which brought up a lot of emotions and thoughts I had growing up. Sometimes we forget about those things as we continue to focus on our futures, and it was nice to revisit during this story. Has anyone read this story (as a child or even recently)? What are your thoughts around this book? It is a really good, quick book!! !